« Do you need to change your uniform? Are you singing the right song? We were chilling out the back garden enjoying this fabulous summer weather with our books and some music playing in the background. I had assembled a very random playlist for the occasion and one to suit both me and Deirdre. I couldn’t be too selfish so there was a mix of George Michael, Glen Miller, Elton John and even Abba mixed in with some of my own favourites but nothing too self indulgent (that meant the likes of Pink Floyd and Led Zeppelin were nowhere to be heard!). 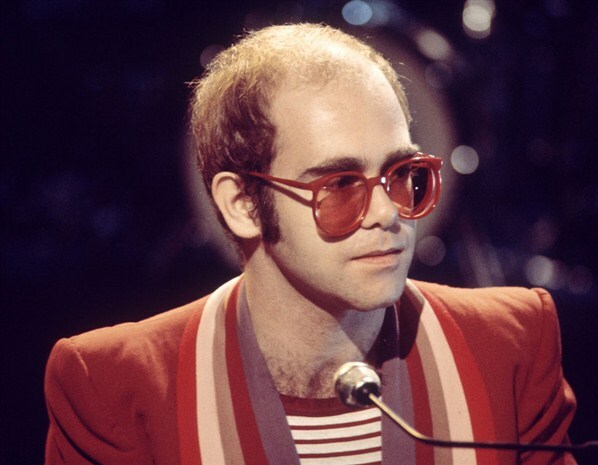 Out of the blue on came that fabulous song by Elton John ‘Song for Guy’ which took me right back to my days of piano lessons. When we talk about my piano lessons its a topic that brings about lots of stories. I did piano lessons for about five years from the age of seven till I was twelve when my mother eventually relented and let me pack up. I guess she always wanted both me and my sister Laura to play the piano or at least learn some instrument – she wanted this for us and no doubt it cost her a pretty penny down through the years. Ironically I hated pretty much every single lesson and practicing even more, which is strange as I love music and would love to be able to play some instrument today. ..that was a little harsh! This was the teacher’s big favour to me. Mrs Murphy agreed to let me learn a song that I liked and it made all the difference. Once this song was done she then wanted me to learn one of her choices – I had wanted to learn some Queen song (to be fair to her she probably knew this was way beyond my limited capability!) but she insisted on her choice and I quickly lost interest in my piano lessons again. A twelve year old protesting week in week out was just too much for my mum so my career as a pianist came to a end! Coincidentally later that evening I was chatting to a relative who was very concerned about her son who had just received his 5th year exam results. He had done really badly and she was really worried about him. Her son appears to be totally disinterested, he is very laid back and extremely lazy when it comes to his studies. Understandably she is worried about him heading into the critical final year of secondary school, which can unfortunately shape your subsequent career path. She then told me an incredible story about him. During transition year he was quite interested in getting involved in the school play. This really surprised her as he is normally quiet and very reluctant to push himself forward. He asked the teacher could they do a particular play but the school had already decided on something else. He wasn’t prepared to accept “no” for an answer so he asked for permission to do the play he wanted without the help of the school. He promised he would organise and coordinate the whole thing. He recruited the actors, he sourced the scripts, he acquired the stage props and he directed, produced and acted in his own play. At the end of term his play was the opening act for the official school play and apparently it was really funny and quite brilliant. It turns out that when he is motivated her son is a creative, organised and determined leader once he sets his mind to it. While it is easy to say “don’t worry” about his exam results it is clear that he is very talented and it is just a question of him finding the right song and then letting him sing it! This entry was posted on June 22, 2014 at 5:06 pm and is filed under Entertainment, Family, Motivation, Parenting, Personal development, Positivity. You can follow any responses to this entry through the RSS 2.0 feed. You can leave a response, or trackback from your own site.